Texas is a good place to raise a family. The people are friendly, the houses are cheap and the food is several notches beyond the average. Not to mention that the business community in the state is also quite active. Whether you’re thinking of planting your roots in Texas soil or retiring in this part of the US, now might be the best time to consider a home loan. VA loans in Texas are quite popular among veterans and service men and women these days. Unfortunately, that popularity is also the same reason behind some widespread misinformation about these loans. Here’s an FAQ to help you get your facts straight. Your eligibility is secured if you have served 90 consecutive days of active service during wartime, 181 days of active service during peacetime, or more than six years of service in the National Guard or Reserves. You may also be eligible if your spouse – who is a service member – has died or became disabled while in the line of duty. The strongest point of a VA loan is that it allows eligible veterans, service members and their families to purchase a home with minimal costs. There are no down payments, no monthly private mortgage insurance, and the interest rates are significantly lower. You will be charged with a funding fee to obtain a VA loan. An exemption is made for service members and veterans who have availed disability benefits. VA loan applicants whose spouse died in service are also exempted from this fee. Can I use my entitlement if I am discharged from service? Your entitlement will have to be reviewed if you are discharged from service. Factors to be considered include your length of service and the reason for discharge. Can I purchase a rental property through a VA loan? But while a VA loan will not cover the purchase of a rental property in Texas (or in other parts of the country), it gives you an option to refinance the rental property that you once occupied. Am I allowed to purchase a second home through a VA loan? There are stringent eligibility, entitlement and occupancy requirements but if you are staying in that property for more than six months in a year, then you may be allowed to purchase that second home through a VA loan. A VA loan offers a great opportunity to own a home in Texas at a lower cost. And once you start paying your mortgage, your hard-earned cash goes directly to the principal of your loan. This is a good way to put your money to good use, especially if you’re a fan of savvy money management strategies. 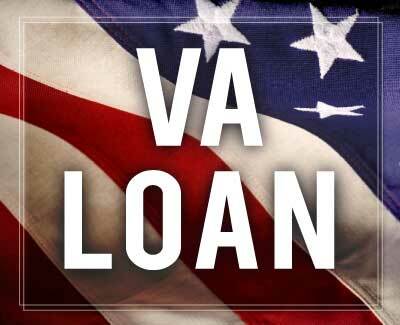 Loan amount for VA loans depend on a number factors. At Texas Lending, we can help you ease into a VA loan, helping you get settled on a financial decision that you are comfortable with. Talk to our loan officers today so we can guide you on your next best step.